City Sightseeing doesn't only take locals and tourists around Johannesburg on a red bus; we also offer an extension tour to Soweto, which is the perfect way to explore the township. Sezin Kılören from Turkey recently hopped on the red bus and our minibus taxi to Soweto and shared her experience with us. As soon as we hopped off the red bus and on to the City Sightseeing Soweto extension tour at Gold Reef City Casino Hotel (stop 13), our guide, Ditshwane Seitlheko, explained that most African names have meanings (Siyabonga, for example, is the Zulu word for “we thank you”). He continued sharing his incredible knowledge about South Africa and Soweto as we drove to FNB Stadium, Africa’s largest stadium. It was built in the shape of a calabash, which is traditionally used to serve beer, prior to the 2010 Fifa World Cup and can seat almost 95 000 people. Next up was the colourfully painted Orlando Towers, where someone was preparing for a bungee jump as we stopped. 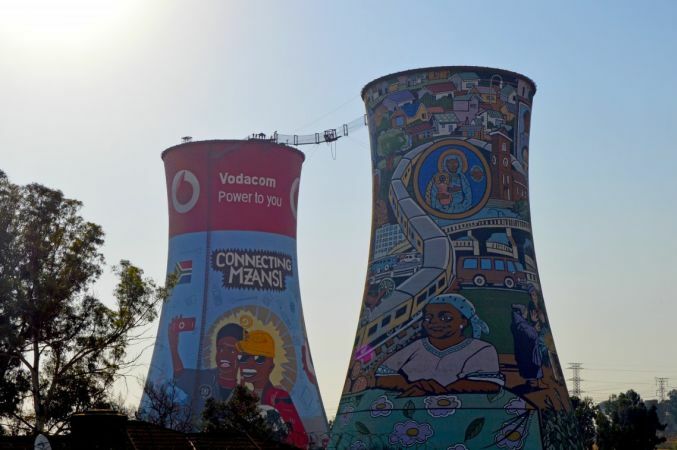 The Orlando Towers functioned as a coal-fired power station for more than 50 years, but since 2008 you often hear the screams of adrenalin-junkies as they bungee jump from a suspension bridge between the two towers. 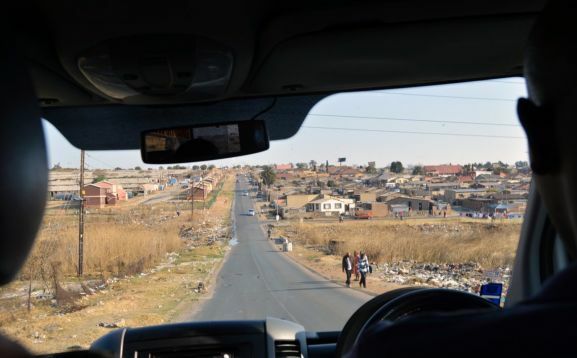 On our way to the Hector Pieterson Memorial and the nearby Vilakazi Street in Orlando West, we drove past many shacks, with Ditshwane explaining that Soweto is made up of visible contrasts, very much like an authentic mirror of South Africa. After hopping off the minibus, our volunteer guide, Sibusiso Mhlanga, shared the tragic story of schoolboy Hector Pieterson, who was killed when police opened fire on protesting high school students on 16 June 1976 as they marched against the mandatory use of Afrikaans as a language of instruction in black schools. 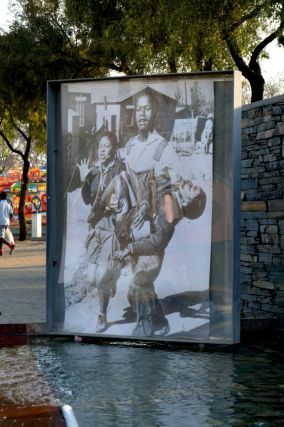 The image of a dying Pieterson being carried by a fellow student, while his sister is crying beside him, is well known. Looking at this photo, one understands why he became one of the symbols of the Soweto uprising. 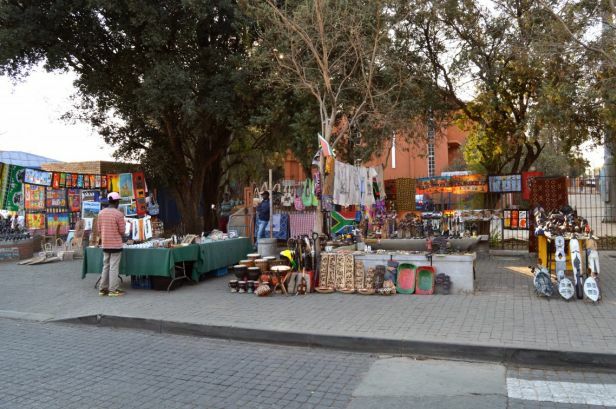 Vilakazi Street, which is a mere five-minute walk from the Hector Pieterson Memorial, has been home to two Nobel Peace Prize winners, Nelson Mandela and Desmond Tutu. If time allows, visit the Mandela House museum, number 8115, the house that Mandela moved into in 1946. It is also the house he returned to after his release from prison in 1990. Today, Vilakazi Street is brimming with a vibrant energy, colourful arts and crafts, and a variety of restaurants. It really is painted in African colours, almost as if Soweto has taken the hardship it experienced during the struggle for democracy and turned it into solidarity, art and an almost tangible optimism about the future of the country. 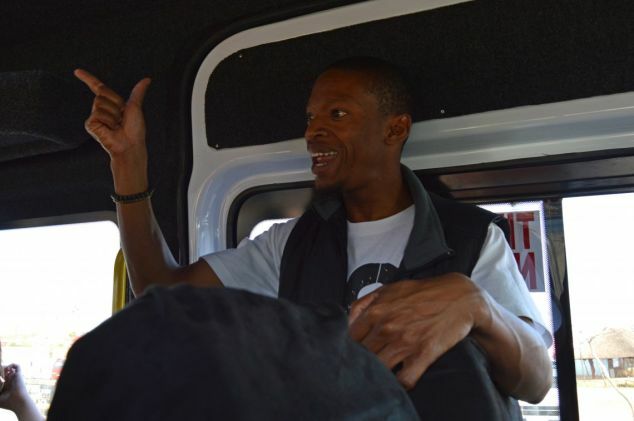 The Soweto tour departs from the Gold Reef City Casino Hotel (stop 13) at 10.05am, 11.10am, 12.10pm, 1.10pm, 2.15pm and 3.20pm, where you hop on a minibus taxi. The tour takes two hours, but if you hop on one of the earlier tours, you’ll have the option to spend extra time at the Hector Pieterson Memorial or Vilakazi Street before heading back to Gold Reef City. Buy your City Tour and Soweto Combo tickets online and save.